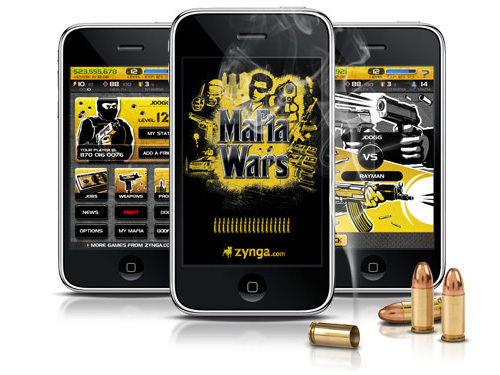 If you are look­ing for a new, free iPhone game, check out Mafia Wars by Zyn­ga. It is also avail­able on oth­er plat­forms (i.e. Face­book, My Yahoo!, and MySpace) but I have only played it on the iPhone with some per­sua­sion. It seems to have a pret­ty big fol­low­ing and a com­pi­la­tion of strat­e­gy guides writ­ten for it. Any­ways, check it out. You can down­load it from the App Store here.